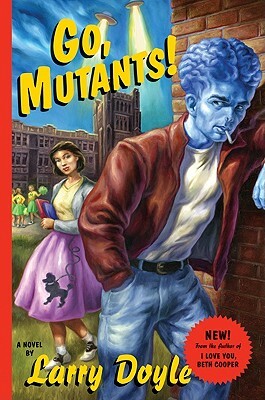 Larry Doyle, the author of I Love You, Beth Cooper, returns with Go, Mutants!, a hilariously outrageous novel of teenage angst and restlessness, populated with heroes and villains straight out of the classic sci-fi and teen movies of the ‘50s and ‘60s. Soon to be a major motion picture from Universal Studios, Larry Doyle’s Go, Mutants! is the funniest, most original bit of genre-bending since Pride, Prejudice and Zombies. This story of alien high school rebels without a cause is sure to bring out the unabashed B-movie fan in everyone.